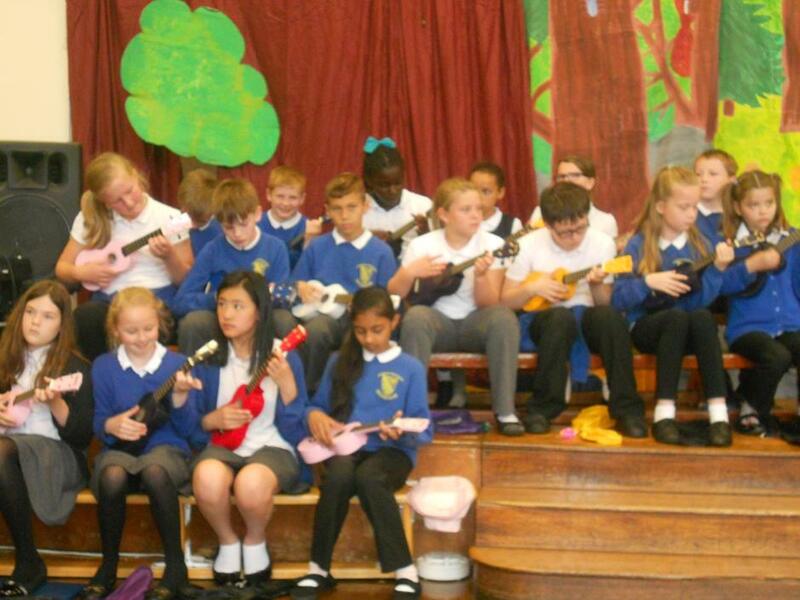 Year 5 children have been learning to play the ukulele all year. 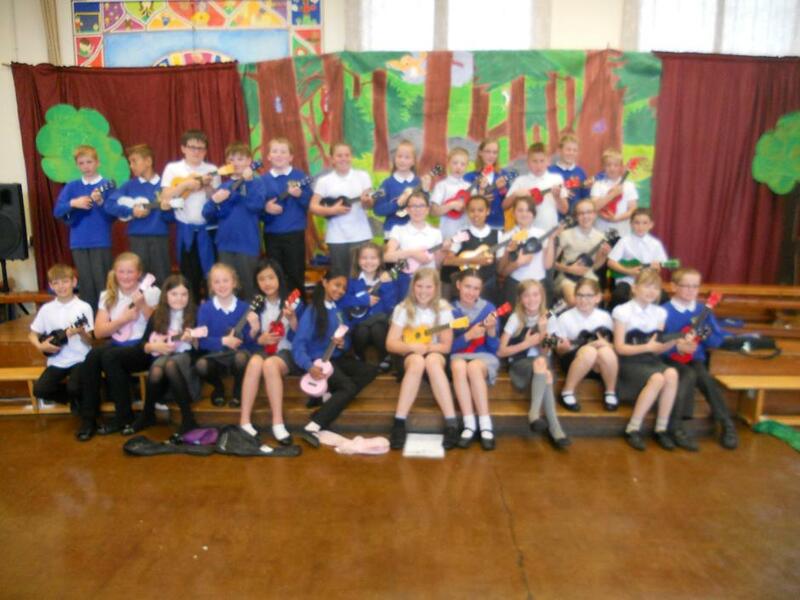 They have been taught by Mrs Hill and Miss Hughes, from the Derbyshire Music Partnership. 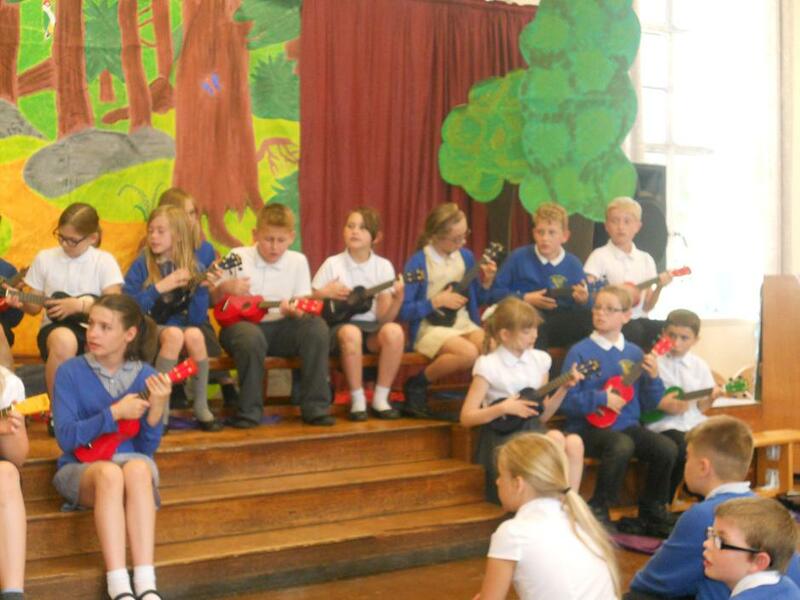 On Friday 15th July they performed a number of songs that they had been learning all year. The performed Stand by Me, Lava, Smoke on the Uke and Do, Ray, Me. It was a wonderful concert, well attended by parents and grandparents. 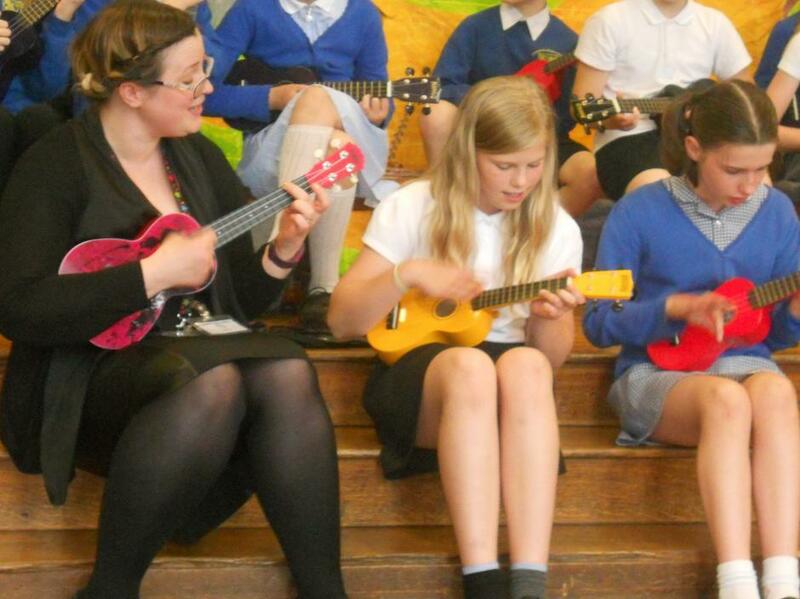 Some Year 6 children continued to learn the ukulele in Year 6. Jasmine and Anya performed the beginning of Stand by Me, with Year 5 joining in and they also gave a fantastic performance of The Mash Up, which was a combination of, Happy, All about the Bass and Shake it Off. Mrs Hills enjoyed performing with the girls and the whole hall exploded in to huge applause! Jack and Megan learned to play the flute and performed a duet for us, beautifully. 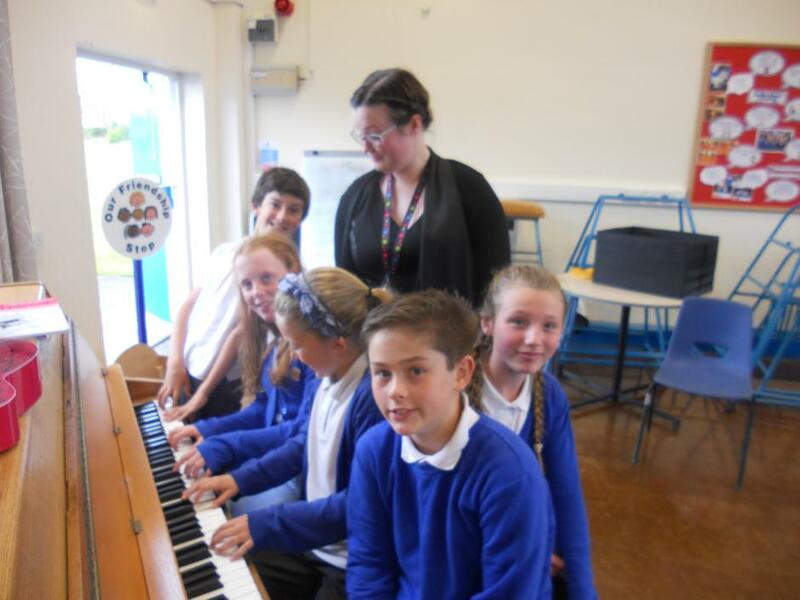 We also had 5 pianists, who played a range of pieces on the piano. Daisy, Billie, James. Dylan and Abi have worked hard to play so well. The whole concert was a huge success and enjoyed enormously by everyone who attended. It never ceases to amaze me just how talented our children at Longmoor are.